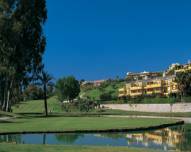 The southern coast of Spain, the Costa del Sol is often referred to as the Costa del Golf. Naturally this makes sense, with dozens of golf courses spread along the coastline with Marbella being in the center of it all. 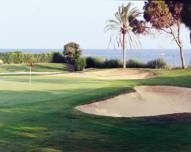 According to some sources, Marbella enjoys the highest number of golf courses per capita in the world! 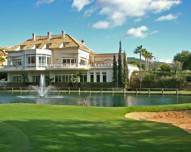 In this section, we will acquaint you with some of the best Golf Clubs in Marbella, located in close proximity to the properties we have on offer. 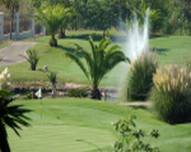 This picturesque golf course has many water hazards and bunkers which are located on the greens. In this connection, the game requires more attention and driver punches to stay out of danger. 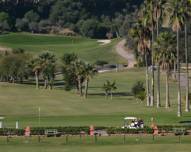 This is an attractive and very good quality field, not too hilly but has obstacles in the fairway – orange trees, which gave the name of the club – Orange. Players should be aware that there is a big difference between the first and last 9lunkami. The club has 3polya for 9 holes, which can be combined in 18 holes. 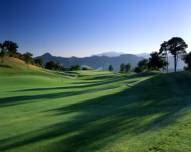 The fairways are designed for a very complex system that requires more of Professional golfing skills. This club has 2 fields. 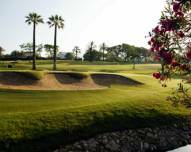 South field is one of the first on the Costa del Sol and quite complex, suitable for more experienced players. North field stretched parallel to the South and has many water hazards that forces the player to strictly priderzhivatsya fairway. 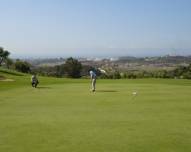 Located on a hill near the sea, the field has a modern design and offers an exciting game of golf with stunning views of the sea. This field is the complexity of the champion class. 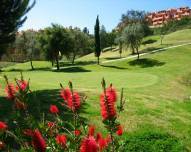 Located on a slightly hilly terrain and has excellent facilities, allowing to play golf at the highest level. Located just 3 km from the center of Marbella, this field is considered to be one of the most spectacular. River, whose name has the club in four places crosses the field, without creating problems for the game. It is suitable for players of different skill levels. This field is of modern design, made ​​in the style of ‘Parkland’. Has large greens, few hills and sprawling trees. Field of very high quality and in 75% without interference. quality game for both beginners and for profisionalov. Field stretched from the main road of the Costa del Sol to the sea. Has short fairways and flat greens, making it relatively easy. Here you can play golf, even at night. Located opposite Puerto Banus this field was spread on both sides of the river and has a night light. Suitable for players of different skill levels. 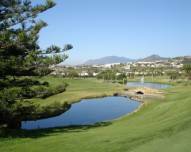 This high-quality golf course is just a few minutes walk from the center of Marbella. 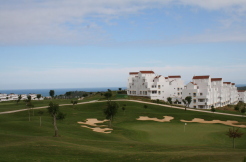 Offers a beautiful view of the mountains and the sea and a nice golf vacation. This field has a clearly defined fairways, strategically placed bunkers and undulating greens that require high technology from the player. Located in a picturesque location with beautiful cascading water of the lake and views of the sea and mountains. The club is private and has a limited number of players. Very picturesque, situated in a valley with natural vegetation, streams and lakes field, offers a fascinating game with obstacles. Has large greens and tee sites mainly in the uplands. More difficult golf course is under construction. This is a small, well-planned field is intended for novice golfers and those who want to improve their short game. 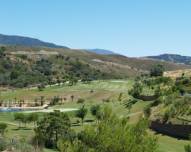 Located on a hill Elviria, around an artificial lake, a high quality field of impressive wealth of vegetation. Field is suitable for players of different skill levels. 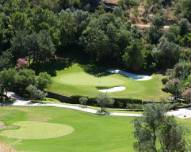 El Higeral is a new 9 hole course located on the gentle slopes of the foothills in Benahavis. Although this field is not short-prime field. Almost every hole is located near the water. 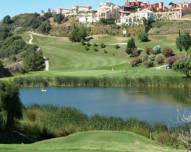 Very scenic golf, beautiful, well-groomed greens and elegant style of the lake. Game here offers the most out of each round, the unique characteristics and perspectives will surprise you at every turn, forcing play here again and again. This golf course at Parkland-style lake, consists of two fields. Old field has wide fairways and large, mostly elevated greens. It has some challenging holes, but is suitable for players of different levels. The new field was discovered not so long ago and a little more complicated, requires more professinal game. 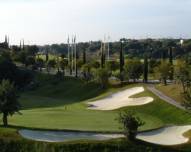 The impressive beauty of these golf courses surrounded by eucalyptus, olive and pine trees that provide shade in the summer months, as well as obstacles that require more precision strikes from the player. 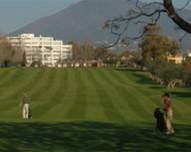 Atalaya Golf Club has one of the largest training fields in Spain and offers a friendly atmosphere and training in multiple languages. 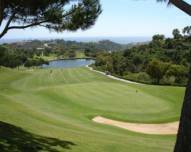 One of the most spectacular golf courses on the Costa del Sol. Located in the wooded valley, crossed the river with marble waterfalls and has 6 bridges linking the TII site, fairways and greens. Is still quite complex and is ideal for those who like a risky game. This club is one of the most popular golfers of different skill levels. 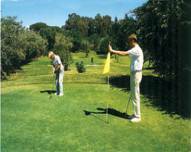 The golf course is very high quality and in perfect condition with large greens and narrow fairways. The most difficult are the 9th and 10th holes. 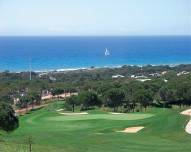 One of the most spectacular places to have fun playing golf with views of the sea and even Africa on a clear day. Surrounded by mountains, this golf course is situated in a picturesque valley with hills on the fairways and beautiful sea views. This exclusive club is only open to club members and their guests. 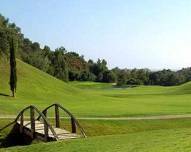 Located between San Pedro and Ronda is a great golf course is the first created by Severiano Balesteros on the Costa del Sol. This is a pretty complex field makes golfers of various levels of training experience constant interest in the field to win every round. 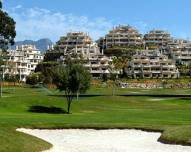 Exclusive golf course with 9 holes, 3 pairs of El Campanario was designed by Manuel Pinheiro – one of the greatest golfers in Spain and opened in 2003. From each well, which has its own distinctive characteristics, the field is ideal for players of all levels and abilities, and even the most experienced will be able to enjoy the fight. Irrigated lakes, fountains and other water bodies crossed by a gentle flow of this creek, elegantly framed by olive trees and a variety of Mediterranean vegetation, this field is perfectly in harmony with the charm of its natural surroundings. On the territory of Club house with a store of accessories for golf, sauna, gym and swimming pool, bar and restaurant. There are individual, semi individual and group training, as well as rental of hand truck. 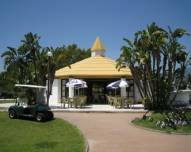 La Finca de Marbella, Costa del Sol.